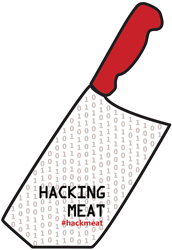 Hacking Meat is an online conversation exploring how can information and technology be used to hack (or reimagine) a more sustainable, profitable and healthy future of meat. Contributions to Hacking Meat do not necessarily represent the opinions of Food+Tech Connect. The conversation is designed to create a forum for discussion and debate, so we encourage you to share your feedback in the comments section below, on Twitter using #hackmeat, or on Facebook. 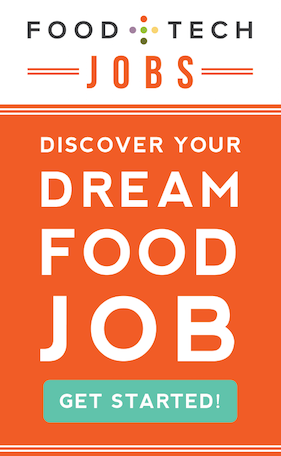 If you would like to submit an official response to this post or any others in the series, please email info [at] foodtechconnect.com . Quality over quantity—this is the future of meat. Harnessing the power of technology and social media to popularize this idea is essential. We need to develop a compelling digital tool that will empower eaters with information to build demand for sustainably raised meat. At the same time, we must find a way to satisfy eaters while they dine on less meat overall. Americans’ appetite for meat—92 billions of pounds a year from 9 billion animals—is more than three times the global average. An adult American male eats almost twice his recommended protein needs. Keeping up with this demand for quantity has created a cheap, industrial meat system that takes a steep toll on air, water, land, climate and health. Producing industrial meat requires large amounts of pesticides, chemical fertilizer, fuel, feed and water. It also generates greenhouse gases and large amounts of toxic manure and wastewater that pollute groundwater, rivers, streams and, ultimately, the ocean. But it doesn’t have to be that way. Meat raised on pasture helps conserve soil, reduce erosion and water pollution, increase carbon sequestration and preserve biodiversity and wildlife. Organic meat may be safer. A study funded by the U.S. Department of Agriculture found that organic poultry was less likely to harbor the food poisoning bacteria salmonella than industrial poultry. There is a growing appreciation for quality meat. And now meat-loving Americans are starting to embrace a dietary paradigm that improves health and decreases the impact on the environment by transitioning to a diet that includes more plants and sustainably raised meat. It’s an empowering and tasty choice. Many “innovators” and “early adopters” of this way of life were in New York City to reimagine a better future for meat. As we embark on this mission, we would do well to remember what the theory of Diffusion of Innovations tells us about how new ideas and technologies propagate. They are adopted best when simple, yet remarkable ideas spread through a social system: we need to build a framework to help sustainable meat reach critical mass. Consumers need to be empowered to help convince large purchasers of meat products to expand significantly their offerings of sustainably raised options. t, environmental and health impacts of common protein foods. EWG found that promoting “greener” meat choices was a good way to meet consumers where they were. To address the higher costs of sustainable meat, EWG promoted the idea that if people would eat less, then they could afford to eat healthier, more sustainably raised meat. EWG’s guide urged people to take the Meatless Monday challenge by cutting meat out of their diet one day a week. The Meat Eater’s Guide has reached millions of mainstream consumers through widespread media coverage and has logged well over half a million visitors. EWG wants to build on that success and the success of the thriving Meatless Monday campaign. To take the next step, we need digital tools that encourage consumers to try one or more greener meat options over the course of the week. Consumers need a way to document, track and share the value and impact of 1) increasing consumption of sustainably raised meat and 2) reducing their overall meat consumption by different quantities. This tool should make it easy for consumers to tell local supermarkets, restaurants and other vendors that the demand is growing for more healthful, sustainably raised meat. And we need to highlight resources such as the Eat Well Guide/Sustainable Table so that consumers can quickly find out where to purchase “greener” meats. Cheap industrial meat affects all segments of society, both directly and indirectly. If people buy more sustainably- raised meat and eat less meat, they can have a positive impact on the environment and everyone involved from farm to fork—producers, workers, shoppers and eaters. Dawn Undurraga is a Registered Dietitian and the staff nutritionist at the Environmental Working Group, a research and advocacy organization in Washington, DC. Dawn became fascinated with the intersection of nutrition research and policy while interning at the USDA's Center for Nutrition Policy and Promotion during the formulation of the 2010 Dietary Guidelines for Americans. Prior to joining EWG, Dawn worked at a community health center in Boston, where she proudly served as an Albert Schweitzer fellow, and in both clinical and surveillance cancer research in the San Francisco Bay Area. She completed her Master's in Nutrition Communication at Tufts University and her undergraduate degree in Nutritional Sciences and Toxicology from UC Berkeley. 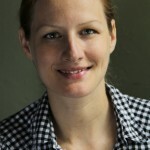 Kari Hamerschlag is a senior Food and Agriculture Analyst with the Environmental Working Group focusing on healthy, local, organic and sustainable food and agriculture policy. 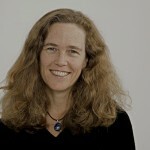 She started her career twenty years ago as an organizer, researcher and advocate for socially and environmentally sound development policy, mostly focused in Latin America. Prior to joining EWG, she worked for nearly a decade with a number of non-profits on fair trade, sustainable food and ag policy issues. Kari has a Masters from UC Berkeley in Latin American studies and City and Regional Planning. She is an avid telemark skier and loves hiking with her dog Shoki in the East Bay Hills.